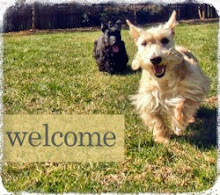 Today marks one month since Nibbles and Pudley joined the Scottie Mom family. They have been a happy and welcome surprise that changed my life in many ways already. Not only are they little balls of energy but they are as mischievous as they are loving. With each day they are here, their personalities break through that initial veil of shyness that is quickly becoming a thing of the past. 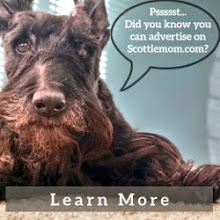 Many Scottie Moms asked to hear more about their transition and how they were settling in at home. 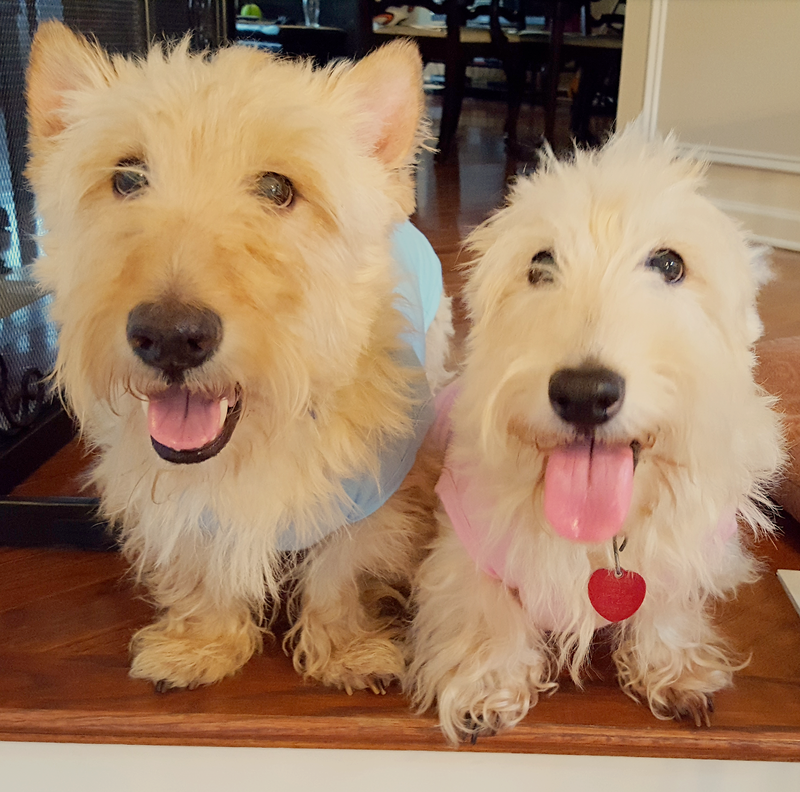 And I thought, what better way to share that story than to also offer up some advice to those thinking about or ready to add another rescue Scottie to their family? While the transition period for Nibbles and Pudley has been an easy and short one, the following tips apply to just about any scenario when bringing another dog home. Feel free to add your own tips in the comments below. Pudley & Nibbles their first day home. Give them a place of their own. When Nibbles and Pudley arrived, I let them have a room to themselves when I wasn't home. In that room were beds only for their use. It was on a different level from where Heather and Mr. K stayed so they wouldn't be bothered by dogs sniffing under the door out of curiosity. Instead, they had a cool, quiet oasis where this bonded pair could enjoy each other's company as they got acquainted to their new home. Human beds are the best! Let them choose bedtime arrangements. I'm not a fan of crates but I understand many dogs - including Mr. K - think of them as a "safe place." So, I dug the crates we have out of the closet and set them up in case our new friends felt more comfortable with their beds inside the crate. For the first few nights, that's exactly where they stayed (usually with the doors open). Then, Nibbles and Pudley discovered the human bed and haven't looked back since. Who me? Of course, I didn't make this mess. Puppy-proof everything. 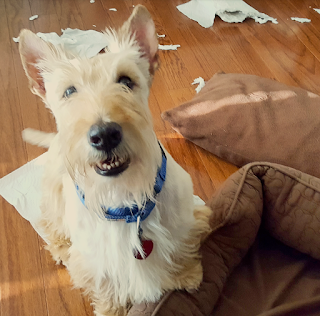 I honestly thought the Scottie House was as puppy-proofed as it could get. Having Nibbles and Pudley home, I quickly realized that puppy-proofing was not a one-size-fits-all solution. 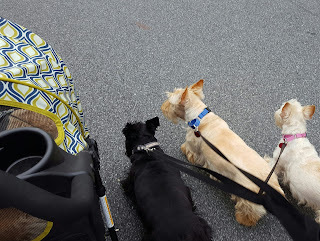 Unbeknownst to me, I had proofed the Scottie House to what I knew Heather and Mr. K were capable of getting into, not to what all dogs could do. 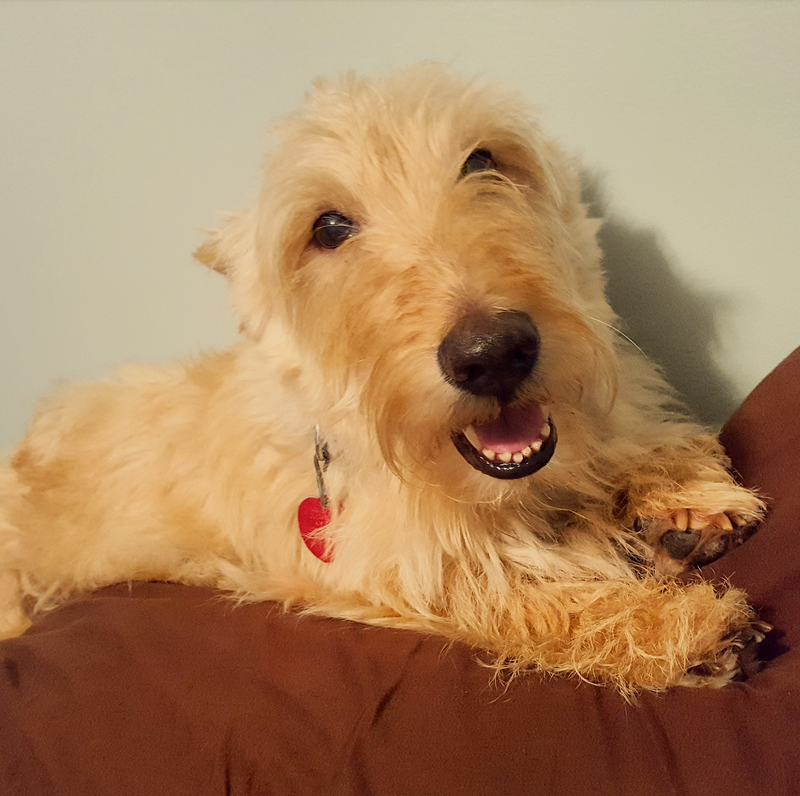 So when I discovered Nibbles is part-Scottie, part-frog and can jump higher than any dog I have ever seen, I knew nothing on my dining room table, kitchen counters and shelves would be safe. Excuse us, these bowls are empty. Can we have get a refill, please? Feed separately. It is okay to feed everyone at the same time but make sure they don't get into each other's space - at least until you know you aren't dealing with food-aggressive dogs. Spend quality time with the newbies but make time for group activities, too. I split the walks up into groups of two. This helps Nibbles and Pudley familiarize themselves with the areas surrounding our home while I learn more about them. Sometimes, I venture out with all four - three in tow and Heather in her sweet, new ride. The favorite group activity here is playing with squeaky tennis balls. 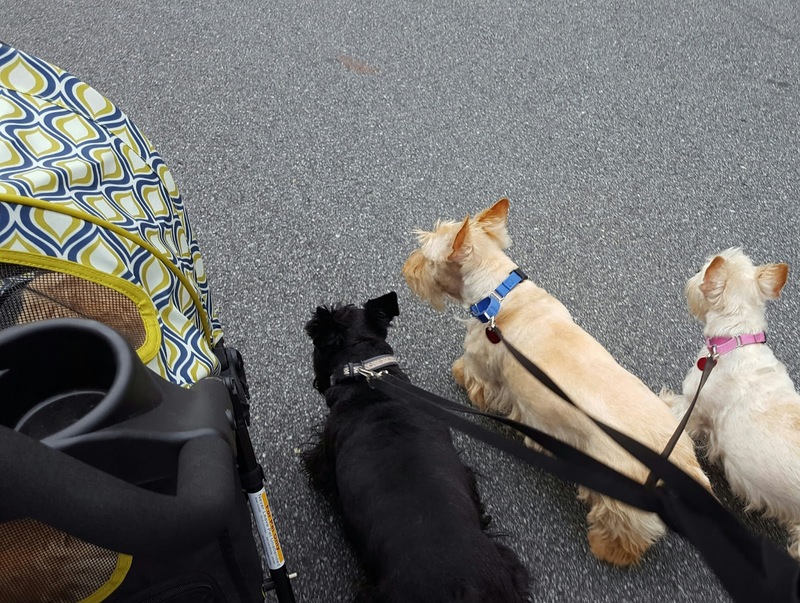 When that happens, the Scottie House turns into something of a mad house with Nibbles, Pudley and Mr. K zooming around as fast as they can go. Those are great tips. Amazing what you can learn from the new pups. The day after Kali joined us, she tried to take some of Kyla's green beans. Kyla was a foodie and it was vet time for Kali. They never had a problem again. 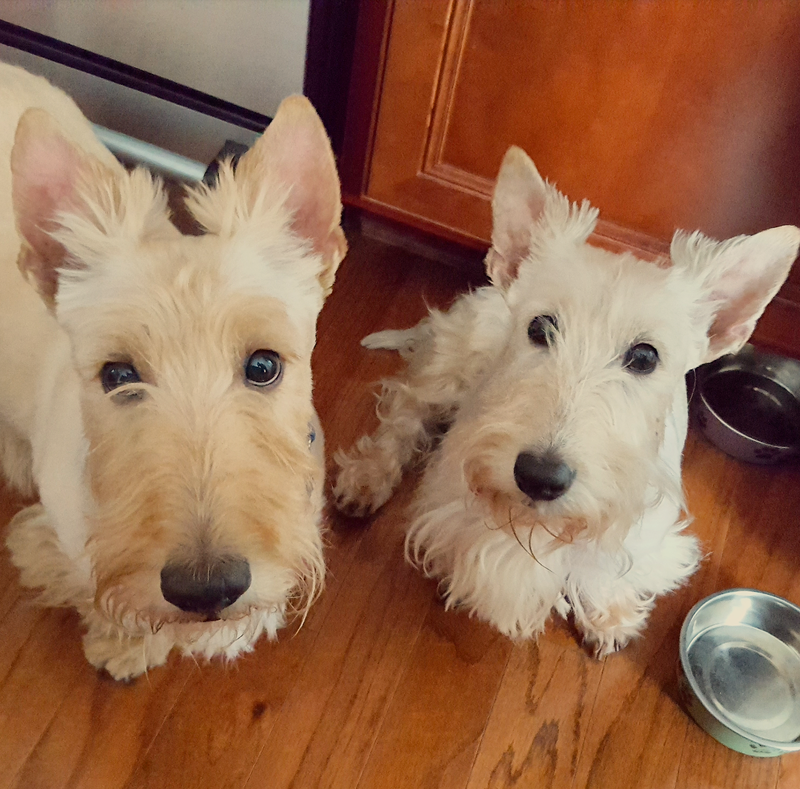 I have had several rescue Scotties and they have adjusted quickly. I a matter of a day, they became fully functioning members of the house.They are all feed separately. They are given the same amount and type of food. When they are finished, they do check out each others bowls. Treats are usually gobbled up quickly. Too quickly at some times and then they come back up the same way that they went down.